A little under four years ago, I realized that I was basically living paycheck to small paycheck. I was also going to the mall almost every weekend. I wasn't spending excessively and I wasn't going into debt, but the day or two before payday always made me nervous. I finally decided it was time to crack down and get my shopping and spending under control. Since then, and quite a few different financial situations later, I have successfully stuck to basically that same budget for four years. I have been able to pay off other debt, go on a few amazing vacations, and feel like I'm just at a better place financially. Not only have my finances been figured out, but so has my style. Being on a budget means every purchase needs to be thought about just a little more. It's easy to throw down $25 here, $50 here, but those add up so quickly. Having to put more thought into each purchase, looking to see if it is exactly what you want rather than settling for something not as good, and how those pieces fit in your closet, means that gradually over time your style and closet will evolve. While I initially started a clothing budget to keep myself on track financially, I am so excited to see where it has gone when it comes to blogging. I think that blogging can be wonderful, but also so misleading. There are many bloggers who seem to have endless supplies of new clothes, sometimes very expensive items, but they don't talk about the money behind it. I think it gives readers a sense that if the bloggers can afford to buy all that, then so should they, and it can quickly become this weird mix of keeping up with the Jones.blogspot.com while not actually being able to comfortably afford it. I am excited to see the bloggers who post about their budget every month because it gives other women out there a more grounded outlook on clothes. That's not to say that I as a graduate student am the end all be all to what all graduate students are and should be spending on clothes. But I lead a very average life, and so sharing the details of that when it comes to money and clothes makes it all seem a bit more real rather than the fantasy that blogs sometimes portray. I'm so proud of the women who link up with me every month because honestly, it's hard to put the numbers out there. It is easy to judge people when it comes to money, I know people have their own opinions on how I spend mine, so let me just preface all of this post by saying that money and finances are a very personal thing. This has been my experience with having a clothing budget that I've shared on the internet for almost four years. I don't reveal all of my personal finance situations on here just like you don't tell everyone your yearly income either, but I do know that having my clothing budget has helped me tremendously both in developing my personal style while remaining on a smarter financial path that I was before. I know that my budget is very conservative to what it could be, but the most important thing is that it personally works for me. Yours will work differently for you, and no one should judge you for that. 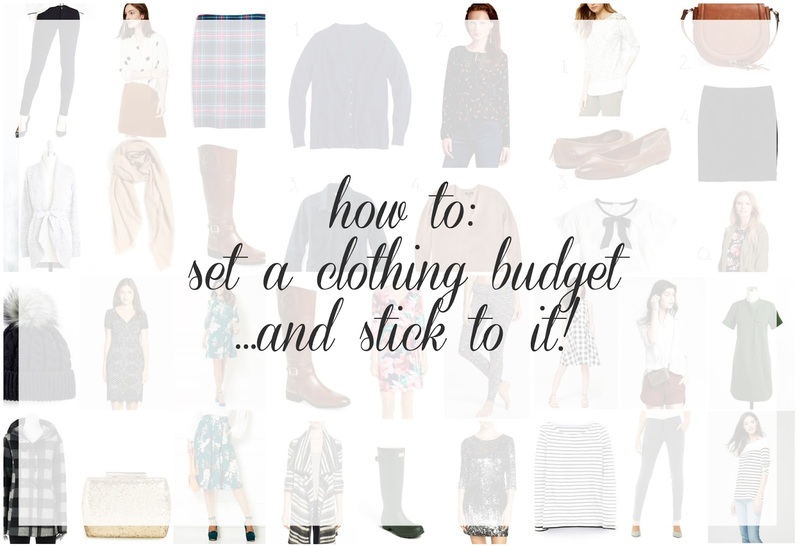 So, with all of that being said, here are my little tips and tricks I've learned over the years on setting and sticking to a clothing budget! 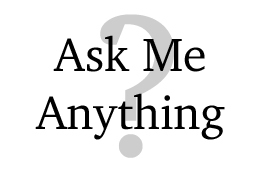 There are hundreds of different ways to do this, so if you have found a different way that really works for you, I would LOVE for you to share more in the comments! Calculate what 5-8% of your take home pay is: This is the number that most of real finance people say you should spend on clothing. This isn't a set number, but it's a good place to start. When I first started with my budget, I used the 8% as a guideline because I didn't really have a ton of financial responsibilities at the time (ie I was renting an inexpensive home, driving a paid off car, and didn't have any children). Think about your financial goals: Do you have student loans to pay off, and want to get rid of them even quicker? Would you rather add another trip to your vacations plans this year, or pay your car off faster? Are you at the point in your life where you want to start saving for a house? If yes, it may be worth looking at the suggested number based on income, and adjust accordingly. For example, my "income" from blogging technically gives me more money to spend than my current budget. Instead, I have over the years used that extra money elsewhere - I've paid off my credit cards, I paid for braces, and now I'm saving up for a house and trying to fluff up my savings account. It's not always fun, and it's definitely not glamorous, but it is rewarding. Know what kind of shopper you are: Think about what kind of shopper you are. Are you a "shopping grazer", who likes to do a little bit of shopping all the time? If yes, a monthly budget may make the most sense for you because it keeps everything on a smaller timeline, and prevents you from spending it all upfront. If you are a shopper who goes in spurts, or if you like to buy only a few big ticket items throughout the year, maybe a quarterly or yearly budget makes the most sense for you. This can always change - I started with a monthly budget, and eventually switched over to a quarterly budget that makes a bit more sense for me now. Start with the envelope system: Basically, you take your allotted budget, and put the cash in an actual envelope or you put that money in a separate checking account if your bank allows you to do that. You can buy clothes only with this money - once the money is gone, you can't shop. This of course requires some self restraint, but it is such a great and easy way to hold you accountable. 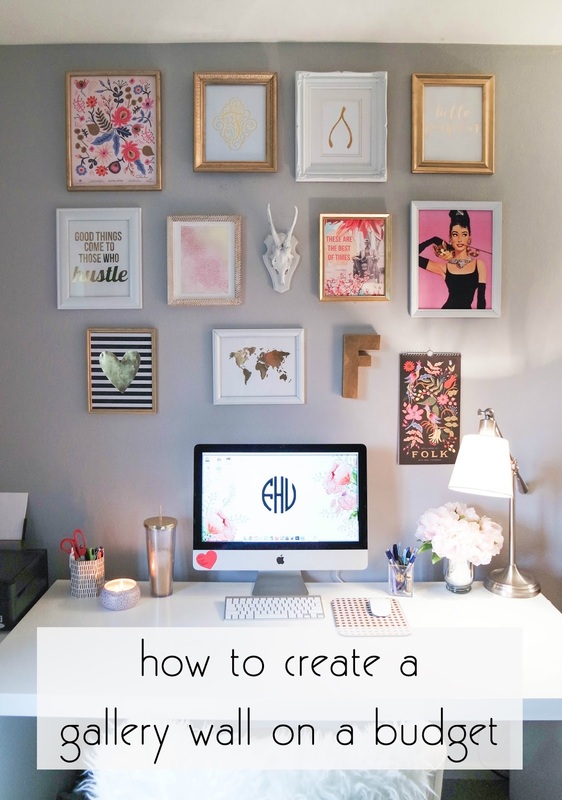 This is the method I used for the first two years of having a budget. Track your purchases: I initially started off with a simple excel spreadsheet with all of my purchases. Over time, I've switched over to using draft blog posts to keep track of my purchases. Seeing it all laid out, as well as how much you have left, really helps you stick with your set budget. Other ideas include starting a note on your phone where you write it down, a cute notebook you'll actually be excited to use (this little one seems particularly appropriate), or using an online account like Mint that lets you see where your money goes. Join our support group: The ladies who have linked up with my budgeting bloggers posts over the years have joked we are our own little shopaholics anonymous group, but honestly, I can't tell you how much having to come share what I spend every month on clothes with you guys has helped me stick to my budget. Make a list: This is interconnected with how to develop your personal style, but having a list of items that you base your shopping off really helps when it comes to defining not only your style, but what you want to spend your money on. If you've figured out that a pair of cognac riding boots (like my new pair!) 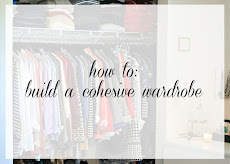 would be the one thing that really ties together a lot of outfits for you, you are probably less likely to spend money on other things so you can get that one item, and then because you now have an item you know will help create a bunch of new outfits, you won't feel like "you have nothing to wear!". It's kind of a self-serving cycle! I constantly have a list going - currently I'm looking for a poncho (still waiting for this cashmere version to go on more sale), and a grey pair of work trousers (like this pair from Theory). When I started my budget, I set it at $150 a month. I was one of those grazing shoppers - I spent quite a bit of time at the mall. I ended up changing my budget when I started school because my income was now coming only twice a year. I have found that I really like having a quarterly budget because it gives me a lot more flexibility, so even though my clothing budget no longer comes from my student loans, having three months to spread out the budget has really worked for me. So that's to say that maybe the budget you figure out now will not work the best for you in 6 months. Maybe your job situation changed, your body situation has changed (weight changes, pregnancy), or your income level has changed. Or maybe you thought you liked to shop all the time when in fact you really only buy things a few times in the year, like when the seasons change. Adjust your budget so that it makes sense for you. My budget and story are unique to me, just like yours will be. I asked a few of the ladies who have been sharing their budgets with us for a long time to talk about how they set their budget, how it has changed, and the benefit from having a clothing budget. Thank you for taking the time to type this all out, ladies! In my early- to mid-twenties, I was terribly naive about my budget. If there was money in my bank account -- and no outstanding credit card balance -- I spent it. Unfortunately, that left me with a paltry amount in savings and, quite frankly, a closet full of items I barely liked. As I've gotten older, I've taken a step back and reevaluated my goals and identified my priority items: saving enough for a down payment on a house, paying off student loans, and allowing ourselves the luxury of travel. These items are hugely expensive and daunting. To make things easier, I calculate the dollar amount I need and I give myself a deadline. Then, I divide the dollar amount by the number of months remaining to determine my monthly savings goals for each category. I treat these as regular expenses, similar to rent, and I pay myself when I'm taking care of my monthly bills. The rest of my monthly income is where things get more fun. I've looked at my previous spending to set realistic goals for things like dining out and, of course, buying clothes and accessories. In 2016, I'm planning to move forward with a seasonal budget of $750 per month. I tend to spend more at the beginning of a new season, so this will give me the flexibility to purchase seasonal items right away. I've noticed that if I have a monthly budget, I feel pressured to spend it all or, even worse, I fall into the trap of quantity over quality, which should never be the case with clothing purchases. I'm not jealous of ladies with unlimited funds and huge sponsorship dollars. It's easy to buy the latest and greatest with that kind of money, but it's not creative or inspiring. 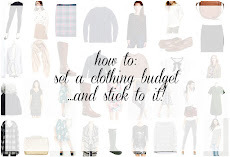 A budget forces me to think about my own closet in new ways and identify the holes that exist in my wardrobe. It also leads to purchases that are uniquely and undeniably "me." That's not to say I haven't thrown money at trends or made a purchase I regret -- I think we've all done that -- but I always hope that when I finally decide to exchange hard-earned money for a gorgeous dress or oversize bauble, it's a piece that fills a void and shares a glimpse into my personality. When setting a shopping budget, don't compare your spending to someone else’s, even if that person is your same age, has the same job, or the same number of kids. There are many factors that influence what is appropriate for a person to spend on clothes. The only person who knows what your shopping budget should be is you. When you're lucky enough to have disposable income, dispose of it in the way that makes you most happy. I have fun buying new clothes every month, and that means I still drive around my scratched up 8-year-old car even though I could afford something newer and nicer. I just don't care that much about my car as long as it gets me around! These are my priorities, and I'm comfortable with them. You have to find your own priorities and adjust your budget accordingly. Even though I spend most of my disposable income on clothes, I don't want to get in the habit of spending everything I have just because I can. I think it helps to have at least one extra financial goal at a time - like saving for a vacation or having $X in savings by a certain date. When I get near the end of the month and still have money in the bank, instead of using that as an excuse to go on a shopping spree, I make an extra payment on my credit card. Then I feel a sense of accomplishment and I'm not tempted to buy something on a whim. Finally, as a somewhat reformed shopaholic, my best piece of advice is that there's nothing wrong with treating yourself, but no handbag or pair of shoes is worth the stress of being too broke to pay your bills. Be an adult. To be frank, I set up a budget because it's not realistic, practical, or attainable for 99% of the population to have a new Chanel bag once a month (or insert "it bag of the moment here"). When I started my blog, I wanted people to know that there was a style blogger who wasn't showcasing outfits that cost $500, $750, or $1,000+. Fashion/personal style is all about making choices that reflect your personality and your personal preferences, and I think a budget helps with forcing you to make those choices. And once you try to stick to a budget for a few months, you'll probably realize your choices are getting better/smarter. For example, my budget used to be a jumble of various trends/colors/patterns etc., but now you'll (hopefully) start to see a trend of colors (mostly reds/blues/greens/yellows and neutrals), patterns (plaids, stripes, occasional polka dots), and styles (classic pieces with a twist). This is what I want my style to be and having a budget gives you a limited amount of funds to focus in on that. I love the trend of over-the-knee heeled boots...on other people. I'm not willing (at this time) to purchase a pair, because it just doesn't work with the picture I have of what I want my style to be. But puffer vests? All of them please, because they work with my current closet, and I wear them a ton! The same principle works with things-that-almost-work-but-don't-really (we alllllll do this!). Do you really want 1/3 or 1/5 of your budget going towards something that doesn't quite fit or isn't the right color/material/style? Probably not. Because I know that I only have $200 to spend in my budget for that month, I can't buy everything on my wishlist, but I can make a list and slowly work at trying to fill those missing closet pieces. I've been doing a clothing budget for three years now (wow!) and it has really helped me be mindful of my spending. Besides helping me "come clean" each month and share my purchases on my blog, budgeting been invaluable in terms of helping me define what my style really is. As I look back on my past monthly spending recaps, I feel like each year gets better and better. Year one was all about "buying all the things," or spending money on the trendy items that other bloggers had, or buying items that were a great deal because they were on sale, etc. In other words- lots of volume. Year two, I resolved to purchase much less (in fact, I went to the extreme and told myself I could only purchase one item a month, with a few exceptions). I stuck to it for a few months and was more mindful of what I was buying...and then I got pregnant and my rules went out the window because I had to buy maternity clothes for work, etc. For year three, I purchased with much more intention, focusing less on quantity and more on quality-made items. I tried to stick to classic styles in my color palette (neutrals plus an accent color or two, and few patterns so I could remix more). 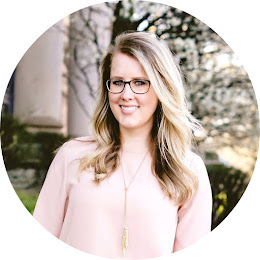 Plus, now that I am a Mom and am working from home full-time, my style has changed drastically from when I was working in both nonprofit and corporate America these past years. If I look back at my photo collages of purchases, I've probably returned or sold (via eBay, consignment store, etc.) about 30-40% of those items...maybe more? Yikes! That said, going into 2016, I feel like I have a firm grasp on what my style is and what I need for my lifestyle/work wear. I really want to focus on the finances of budgeting so I resolve to spend a flat amount (in my case $500) for the year. I can spend as much (or as little) as I want throughout the year, but I am only allocating $500, which is a huge cut from past years. Now that I'm a mom, I don't want to be spending as much as I did...besides- my little man needs his own clothing budget now! Hoping this plan for 2016 will go well so I can invest in quality pieces that fit my style...and my budget!